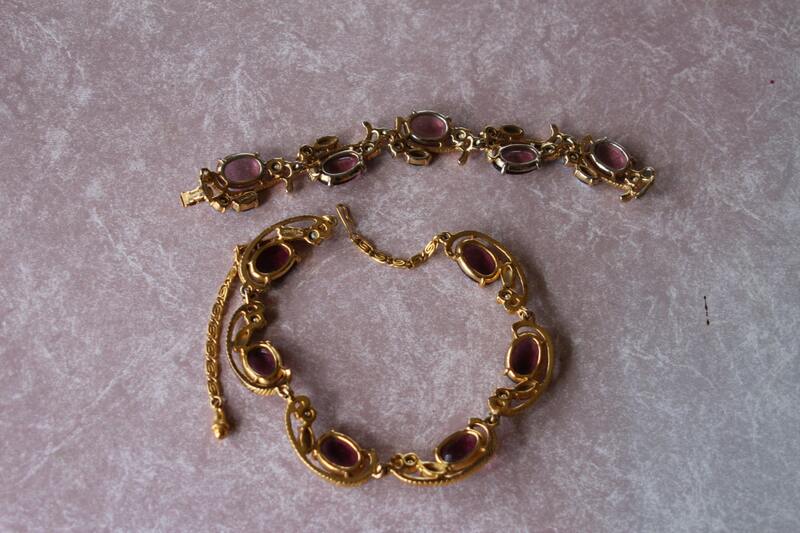 This beautiful Schiaparelli set includes a necklace 16 inches, a bracelet 7 inches. 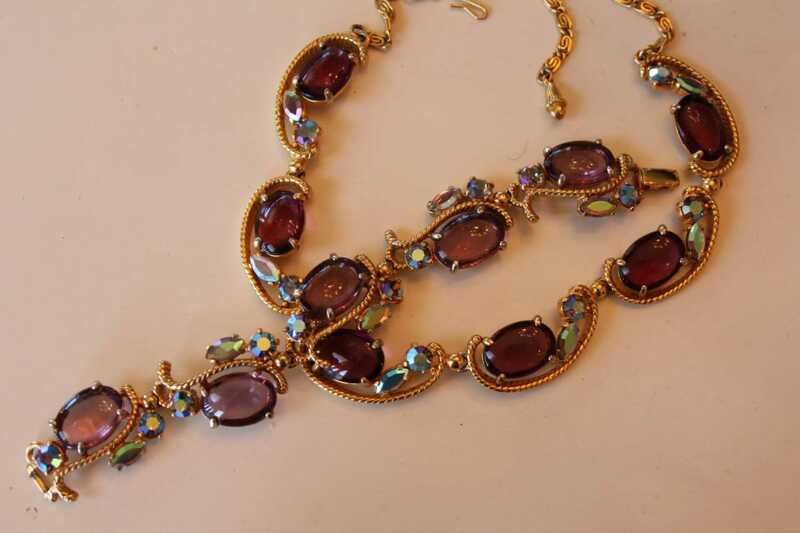 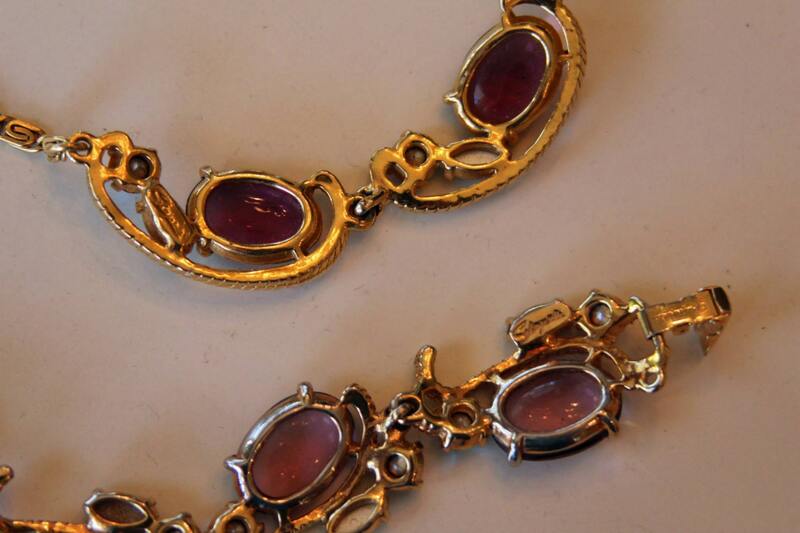 Beautiful oval unfoiled Glass Amethyst cabochons are surrounded by marquis and round chatons aurora borealis stones and a twisted rope feature that dates it to the mid 1950's according to Ginger Moro author of European Designer Jewelry. 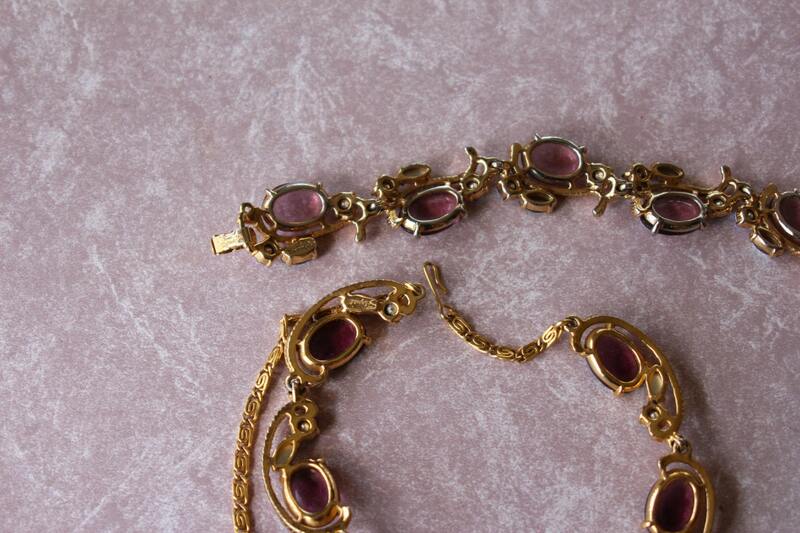 This set is in age appropriate condition, that is, the back is showing some wear as shown in the photographs. 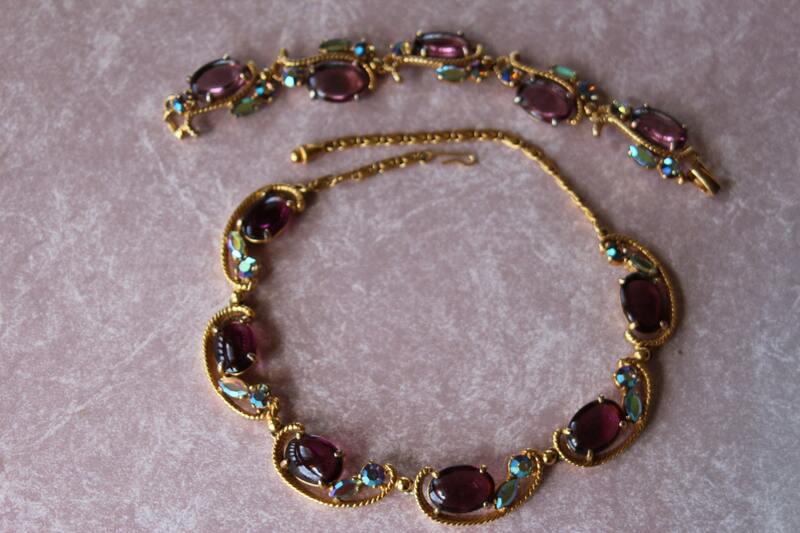 This is a very popular color combination, if you collect Schiaparelli, you won't see this one often.